I also completed fremmy easy/seers easy. Pretty much spent all day yesterday packing to move back onto campus and moving back onto campus. Then had to deal with some badluck just in general so didn't have a chance to sit down and scape to later at night. I even decided to go to bed early. Regardless I did do a bit of fishing to try to get to monkfish. Sunday I watched the Blackhawks game, the last one I'll be watching for a while tbh. So I did some Artisans while I watched. First day of classes so not that much rs done. rip not enough lobs for 62. 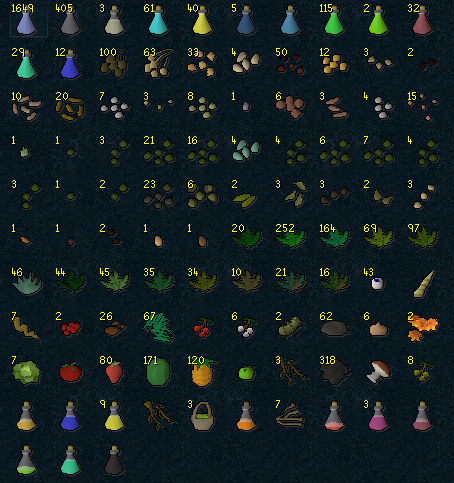 Currently just need the cook level and one small favor for monks. 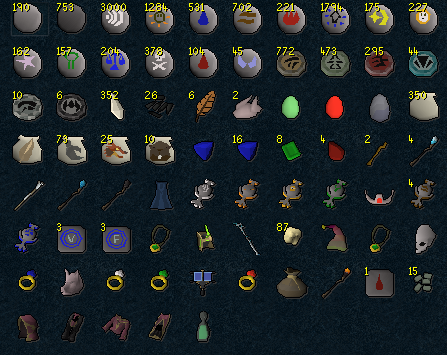 I'll probably do a stats pic for 1500 and bank pic. Been busy with school and some other things irl so I haven't had much time to play tbh. I did get some time last night so here's some things from the past two/three days. 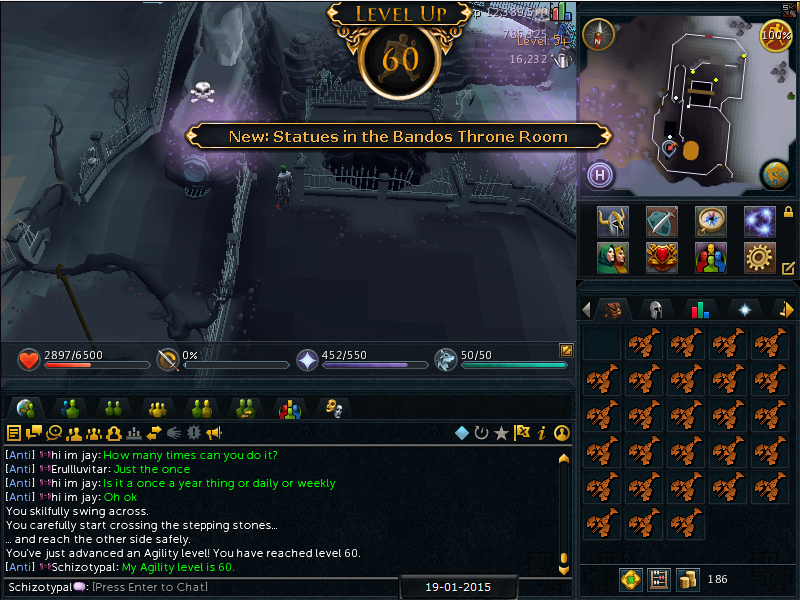 Bam another 60 down. I need like 4.7k logs for 70 fletching so Mr. MTK will be handling that for me hopefully. Back to questscape. What a great day today was. For questing/stats/and socially. Also a few friends of mine here at college met my father who is an Uber driver lel. Completed Contact! Obviously. I used the two xp lamps on Summoning. It's nice to finally see some big quest xp. Starting to finish off those lower quests and finally entering mid tier quests. 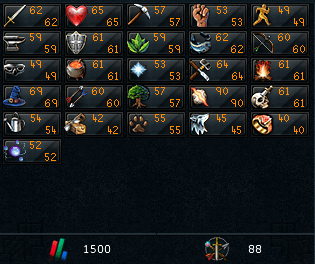 This doesn't show in chat but nonetheless - 1500 Total. 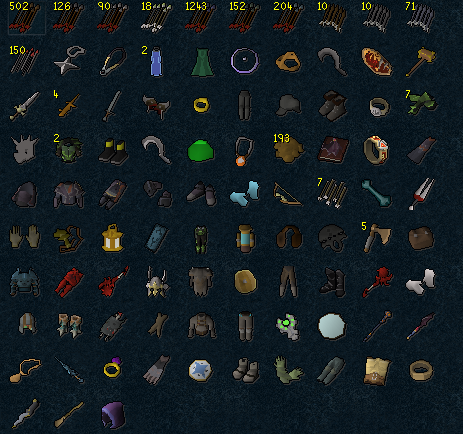 And like I said, here comes what my bank is at the time of 1500 total. I didn't get a picture of the completion screen rip. That's both Agility and Thieving to 50+. Once I get 52 agility (probably from Shilo) I can train at the Wilderness Course till Ape Atoll and then Priff. Yeye. This is probably the quest I have been most excited for on my road to WGS. The fact that I can have all patches weeded AND use Fairy Rings w/o staff is huge imo. 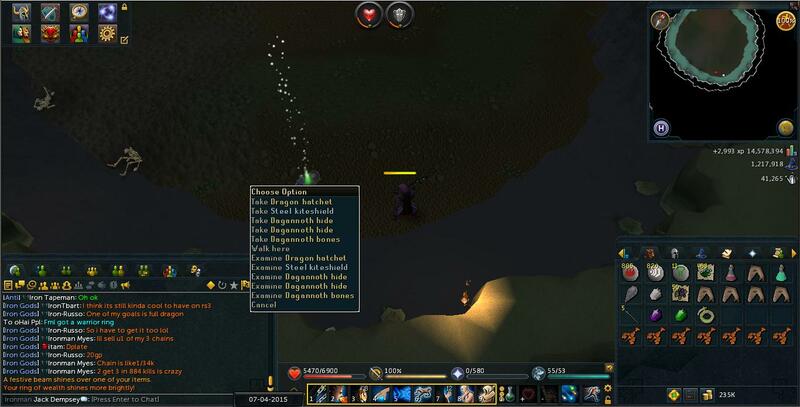 Sure people don't use fairy rings all that often but for going to Glacors/Slayer tasks with Chaedler and misc. movements it's useful. I think it'll payoff and I'll notice it more than my clanmates who don't. Ended the night early after achieving my goal for the day. I began working on my history papers due this week, did some rc with my friend Mary Tudor who will be nabbing 120 rc either monday or tuesday (hopefully). I'm excited to see it. 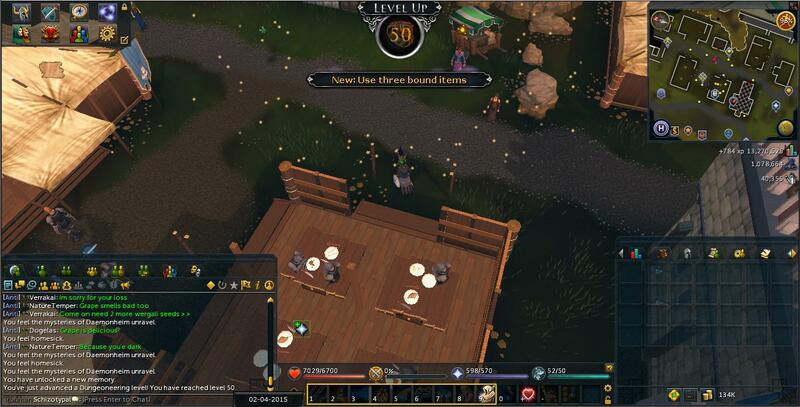 When I was getting 99 rc on Hyoro a while back I met her while Runecrafting and we both got 99 near the same time. 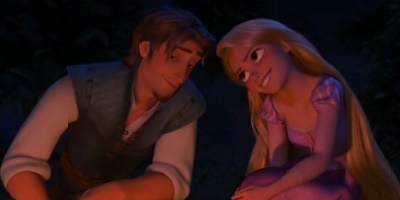 It'll be really cool to see tbh. Tomorrow I'll probably knock out the History Quests and I might go get 50 dg. Not sure exactly what I'll do tbh. I'd like to finish off my quest log before I go back to slayer. 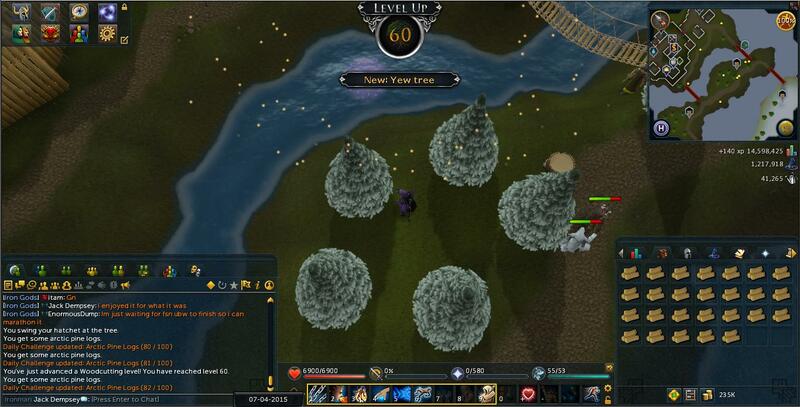 Probably going to go for 70 agility, or something like 69. Then I'll transfer over to Ape Atoll. Not sure if I'll get it in one go. I want at least 60 Agility before I leave. 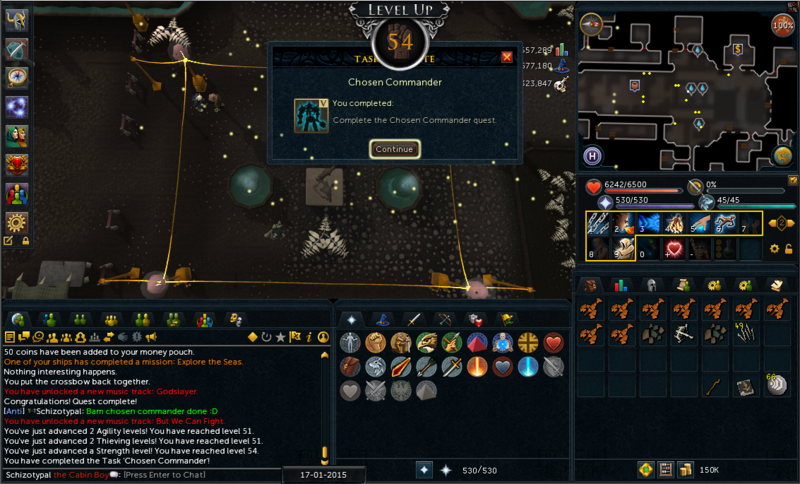 Only skills left for 50+ are 44 Construction and 47 Dungeoneering. irl has been really gg'ing me lately. So basically in Jan rl hit me like a freight train and I just now got most of my life back on track. So let's hope Schizo gets things together. I also changed my name to Jack Dempsey. Didn't snap a pic but also 50 Con so I am now 50+ all. So today I'm going to shoot for Legends' Quest. That means Shilo/Underground Pass. For some reason I didn't grab a pic of Temple of Ikov. Sided with my home girl G Lucien. Well TIL that you need a Rune Hatchet+ for Legends and I have an addy one. Rip. So as far as how my goals look atm they are twofold. 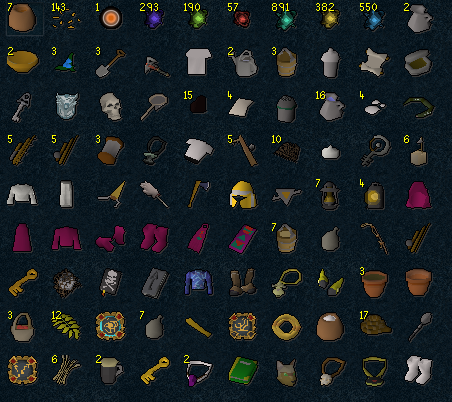 I have 1.6k iron banked atm so smithing is nbd. Mining is like 10k from 60 so nothing there. Wc is self explanatory. Hunter will be done through saber tooths probably to gather for pots. Farming via trees from kingdom. Divi through caches. Thieving will be from questing/random training. 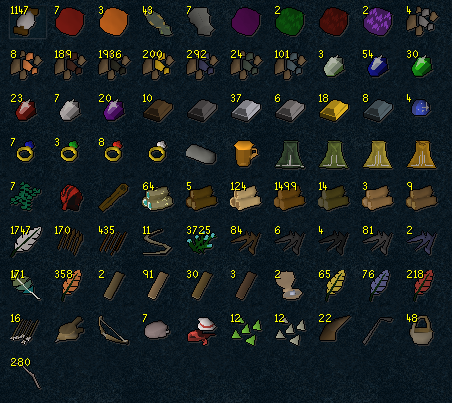 Summoning just needs gp as I have a decent amount of charms currently. Hopefully I can get prayer done with a bonecrusher whenever that happens. 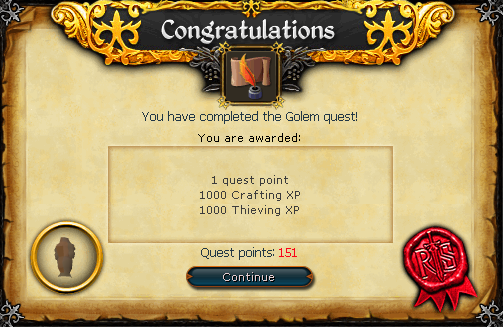 For overall goals the goal is still While Guthix Sleeps. 204/275 qps atm. 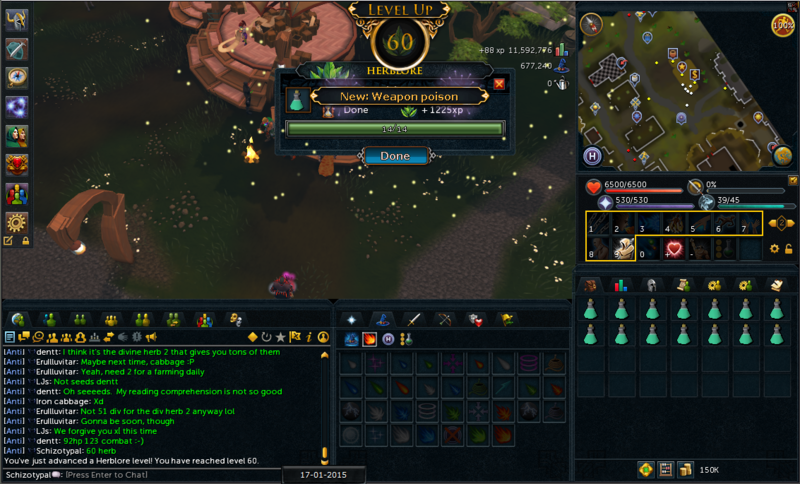 By the time I get to WGS I should hopefully be like 65+ working towards 70. I put 1.2m into kingdom yesterday and I have a few days worth of tree runs. Probably come a week or two I'll start tree running. I need Shadow of the Storm/Desert Treasure/Monkey Madness now for Barrows Gloves. I started Legends. 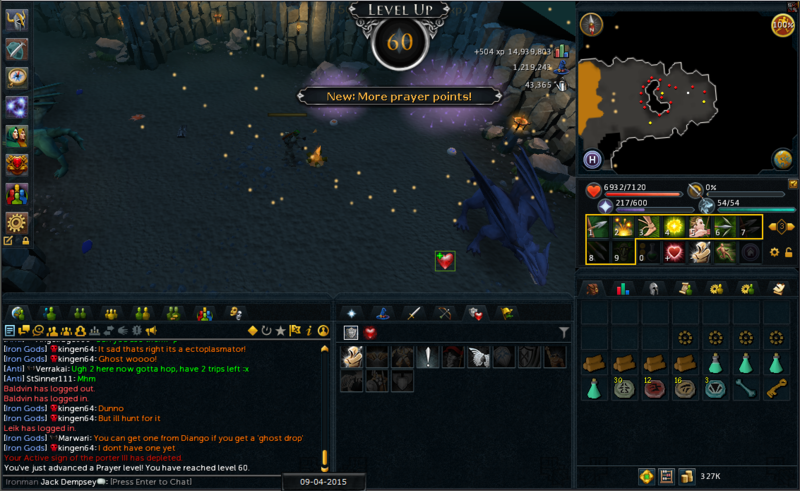 As far as minor goals go I'm focusing on 68 Slayer for warriors obviously. Currently raising defence with mage/melee. 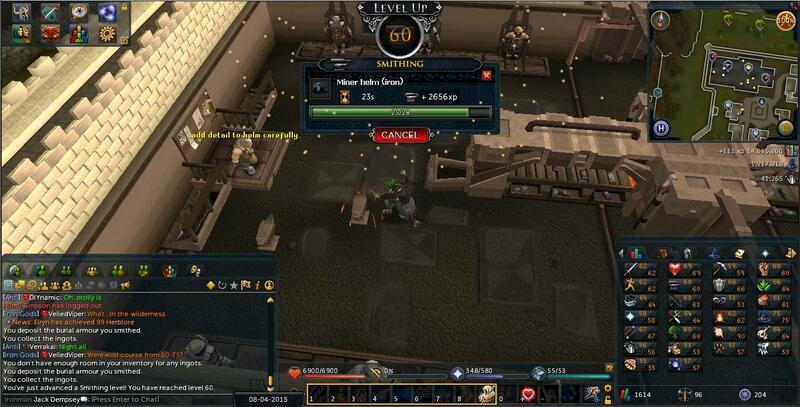 I did my first barrows run tonight and did 4 chest in an inventory using Batwing w/ GRS. It wasn't too bad but T3 WP will be much better I believe. I spent the later part of the night getting Spined for my Greater Demons task. 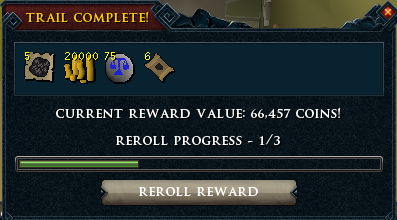 I should probably make urns for demon tasks. But I have a red sally which I potted up to. 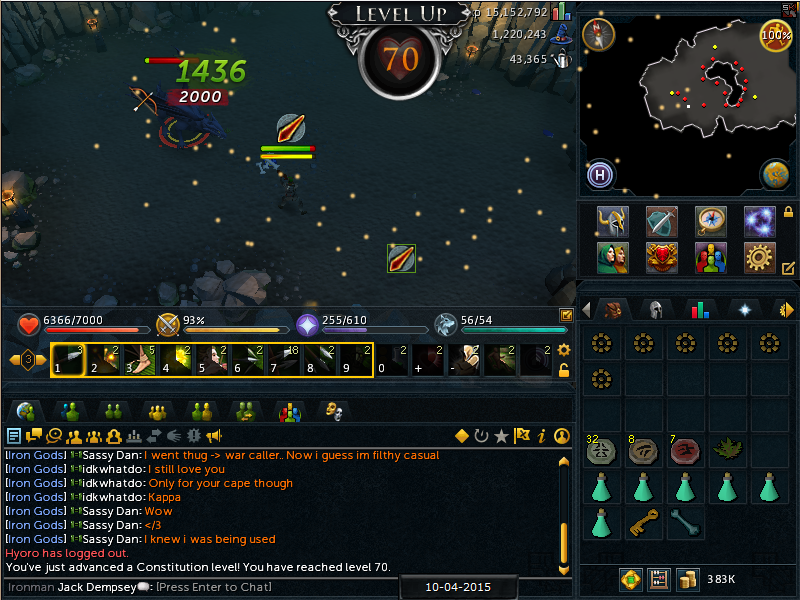 Ideally I'd like to hit 70 range then just do Regicide/Roving Elves for Crystal Bow. So we'll see what happens. 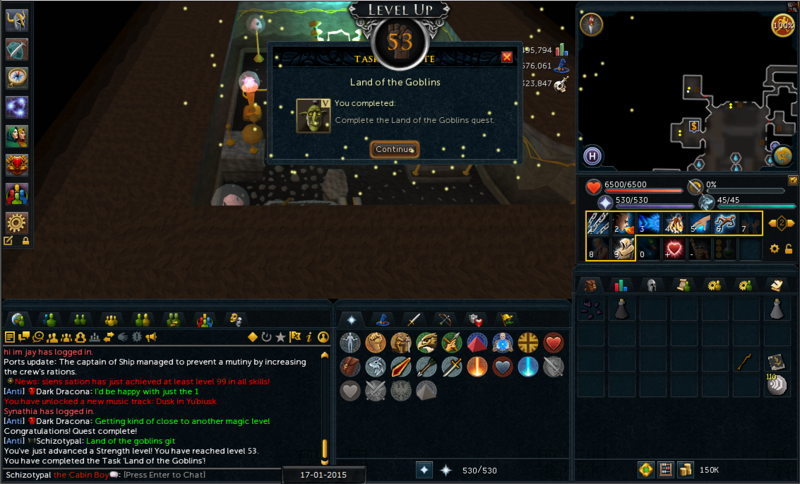 I finished off DG Aura 1 and Lumby med today as well. 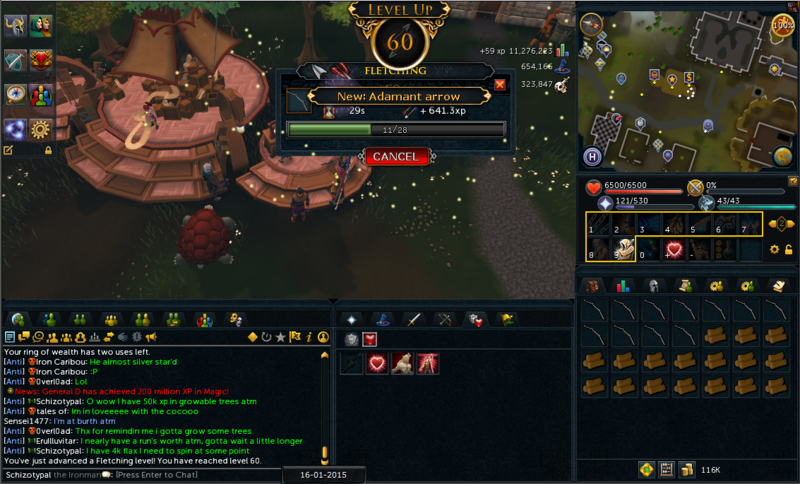 I killed steels from 50-60 magic with no luck - netting dlegs though. I have a dks reaper task so I figured when I head back to campus (a more stable internet connection) I'll just sit there for a dhatchet. 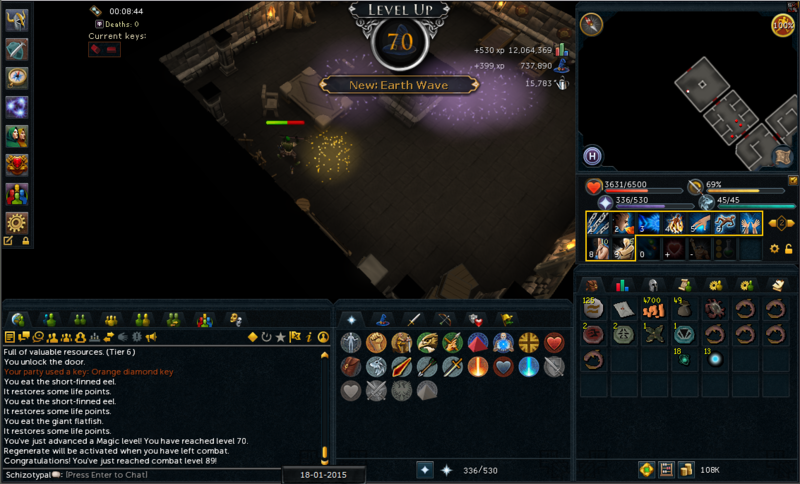 Yea, I'm like pure barebones I didn't think of posting any of my old school progress tbh. I guess I could, I this Orion takes screenshots for you automatically? Small update due to hanging out with my gf/dad most of the weekend. 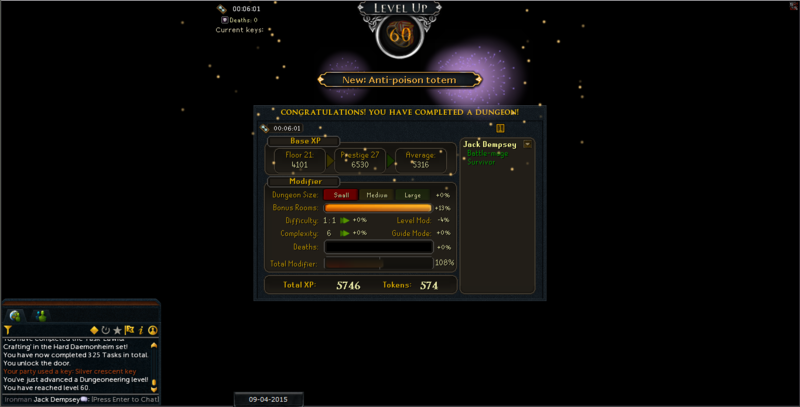 I have been hopping inbetween rs3 and 07. 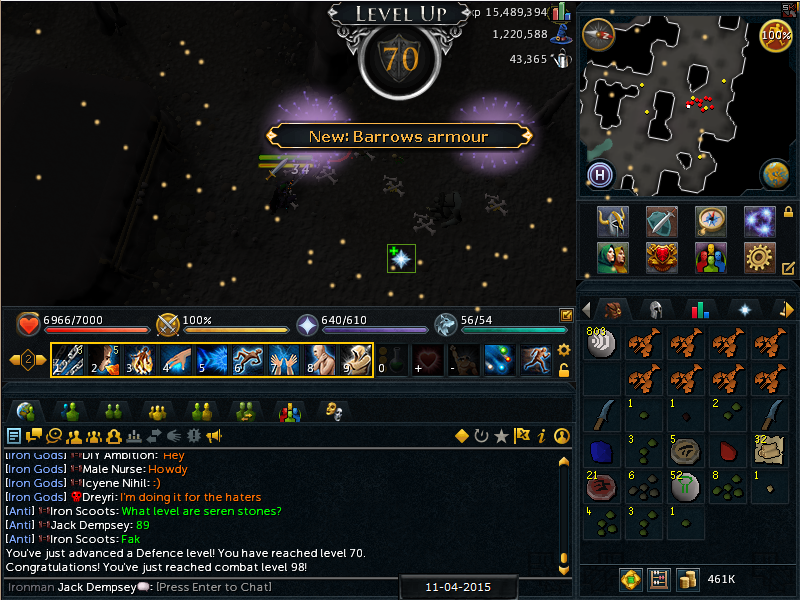 Both are ironmen but my 07 account is the one where you can't unironman it. So far I've done a few basic quests and got 10 in my melees. Probably after butterflies I'll do some more of it. I just like the change of pace between 07/rs3. Another 60 knocked out. As far as goals now; work on 60 all, get 68 Slayer, and do Legends' Quest/Swan Song/Deadliest Catch. 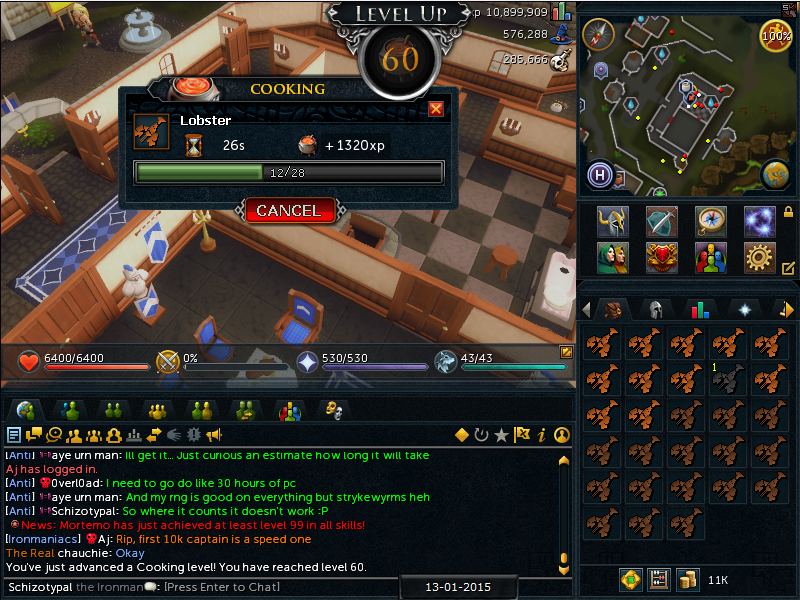 Then I can fish monks for food, cut teaks for wc/con, and then have another wgs req done. DG should/might be next due to needing to get into the resource dg for blue dragons. I might do mining/smithing quickly for afk to write a short history paper. 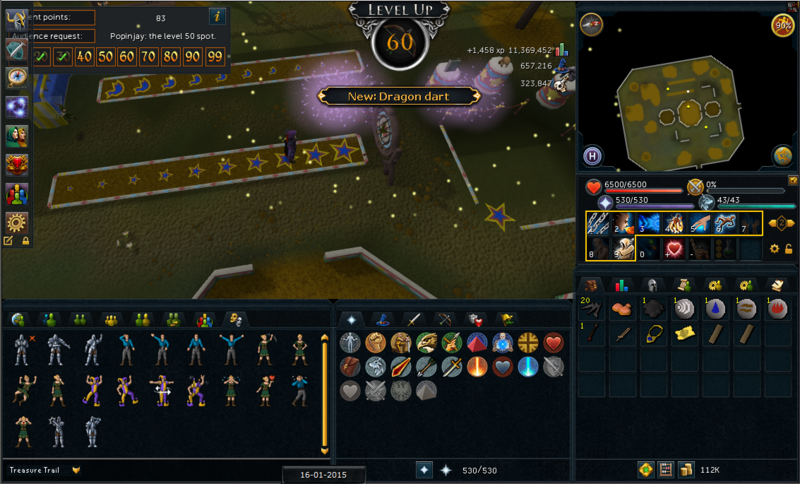 I remember when I thought if I could get 60+ on an ironman account it would be impressive. Now I'm actually doing it. Kinda surreal even though it's only like 270k xp. 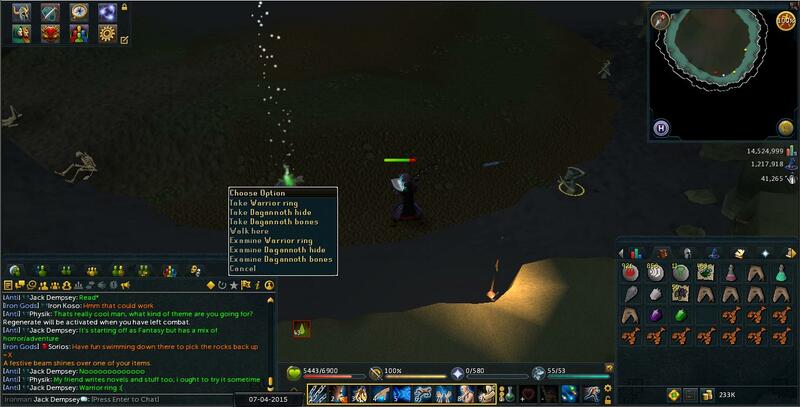 Pushing for Slayer levels. 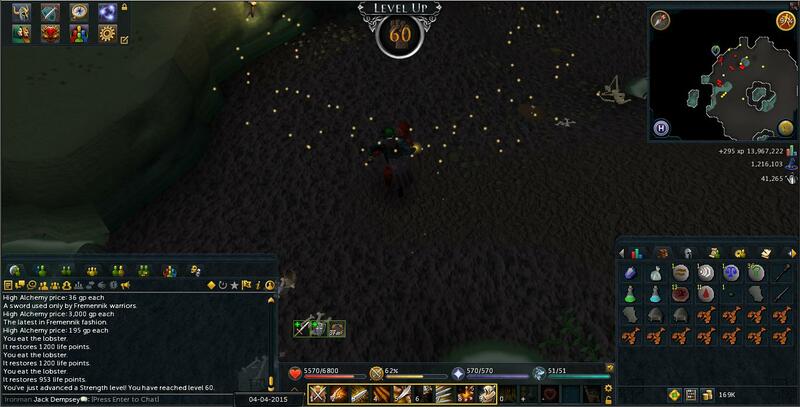 Hopefully I'll get 67 slayer tonight. We'll see.